Your Network Host - A valuable and committed support as they will work tirelessly on your behalf, getting you in front of the people you want to meet. Free Educational Seminars - There is a wealth of knowledge and experience within The Membership that is freely available to you. Try and ensure that you attend the Free Pre-lunch Seminars offered by Members on a wide variety of topics; and if you wish to increase the profile of your company further why not offer to present a seminar yourself. We undertake to do the promoting of the seminar for you. Free Stand At The Events - Take a Free Stand at the monthly events a give members and visitors an even greater insight into what your company can provide. Monthly Meetings With Senior Decision Makers - We restrict attendees at events to a senior level, people who can influence the 'buying and selling' within their organisation. 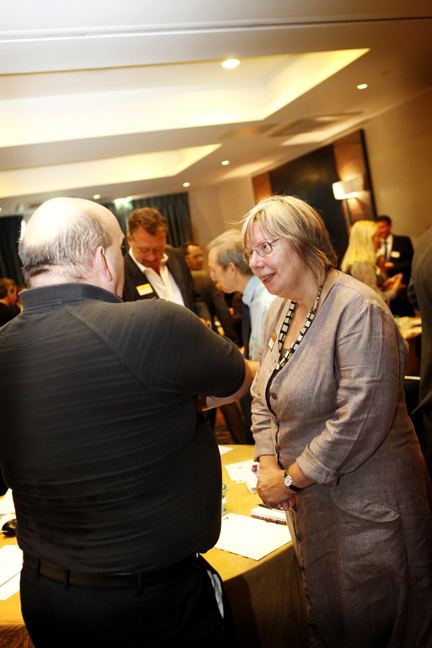 Introductions To New Business Contact - There are always new companies in attendance at the monthly events. "After attending many networking events (most of which were mediocre at best), I went to Pete's network event and loved the atmosphere, people and professionalism. Pete is a fantastic host, and makes sure the attendees have a good time as well as being focused on business. I always look forward to going, and I'd have no hesitation in recommending the event (and Pete!)."